KARACHI: A radical overhaul of Pakistan’s communications framework appears to be on the cards — or at least that is what Beijing and Islamabad have envisioned under their Long Term Plan (LTP) for the China-Pakistan Economic Corridor. A closer examination of the reveals intentions for a revamped communications framework, which includes components such as a fibre optic cable connecting Pakistan and China, a new submarine landing station for internet traffic flow, and digital TV for all. The roadmap, which was developed from November 2013 to December 2015 by officials and experts from both countries, contains a detailed 21-page outline specific to communications – a plan envisioned to span up to 15 years, starting in 2016 and concluding in 2030. The most critical component is a new, upgraded fibre optic cable network which spans Pakistan and crosses the border to connect directly with China. As outlined in the master plan, the cross-border fibre optic cable will address multiple challenges faced by China and Pakistan. Firstly, it says it will handle the anticipated increase in communication between the two countries. With “deepening comprehensive strategic cooperation” comes the need to establish fast, reliable connectivity – and perhaps most critically – communication that is not routed through Europe, the United States or India. China also has in mind its own increasing international telecommunications service demands which, if not addressed, may end up exposing “a huge gap” in China’s international bandwidth. If actualised according to the LTP, the new network will be beneficial to Pakistan by improving internet penetration and increasing speed, especially in Balochistan and Gilgit-Baltistan, regions where internet connectivity has ranged from poor to non-existent. It should also reduce the cost of internet connections. Additionally, linking with the rest of the world through China will help reduce Pakistan’s dependence on undersea cables that carry the country’s internet traffic. In cases where the undersea cables develop a fault — the document says another route would be in place. More broadly, the new network would provide landlocked central Asian states a new, shorter and more cost-effective route for connectivity. The existing fibre optic network through which Pakistan connects to the world has been developed by a consortium that has Indian companies either as partners or shareholders. This is viewed as a security concern e.g. when it comes to surveillance of communication. As recently as January this year, Director General Special Communications Organisation (SCO) Maj Gen Amir Azeem Bajwa informed the National Assembly Standing Committee on Information Technology that some incoming and outbound internet traffic landed in India before being routed to its destinations, posing a security risk for Pakistan. It appears that by routing through China, the state is planning to reduce such security risks related to India. This would however increase the same risks from China itself. The Chinese model of internet regulation could potentially also impact freedom of speech and access to information for Pakistani users. The LTP states that the cross-border optical cable will start from China’s Tashkurgan Tajik Autonomous County and travel 135km to connect to Pakistan. It will then pass through Khunjerab and travels 125km to the town of Sust in Gilgit-Baltistan. The cable then further travels 650km to link to Islamabad. From here, the new cable could link to Pakistan’s existing network. The project was inaugurated in May 2016 by then prime minister Nawaz Sharif. According to the official CPEC site, the cost of the ongoing construction is an estimated $44 million. As of September 2017, the progress update states that 450km of the total 820km has been laid down and the remaining stretch will be completed by December 2017. It also appears that connectivity till the capital isn’t the end goal in the LTP. The plan also includes carrying out improvements on the 804km long backbone transmission network from Sukkur to Gwadar. In the long term, a second route of the cable network is scheduled to be constructed anew from Sukkur to Gwadar. This second route spanning 370km is critical to “forming a loop with the existing optical cables to enhance network security”. The LTP also envisions a plan to remedy the danger of internet disruption due to any accident at Pakistan’s only submarine cable landing station. Currently, the undersea fibre optic cables that carry all internet traffic connect to one landing station located at Karachi. A major accident at the station can result in disruption of the internet across the entire country. To address this, a new submarine cable landing station at Gwadar Port is planned to be built to “enhance security of the international communications network in Pakistan”. According to the plan, the Gwadar station would cover an area of about 10,000 square metres. A feasibility study in the short-term will be followed up by construction from 2021-2030. Chairman of the National Telecommunication Corporation (NTC) Viqar Rashid Khan said in September last year that work has already started on the project. The introduction of terrestrial Digital TV with a network “covering over 90%” of Pakistan’s population is another key project of the LTP, set to be complete by 2020. To this end, Chinese enterprises will provide Pakistan with Digital Terrestrial Multimedia Broadcast (DTMB) technology to enable the switch to digital TV. This is an indication of Beijing and Islamabad’s enthusiasm to bring an advanced technology like China’s DTMB that allows broadcasting in standard definition and high definition to deliver a larger quantity of TV channels at higher quality. If the plan is implemented, it will be a major upgrade from terrestrial TV broadcasting in Pakistan. It will also likely have great impact on the media industry, changing revenue models and programming. Cable operators who offer only cheap, low quality connections will also be affected. 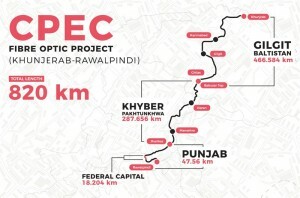 According to the LTP, the project is divided into four phases; phase one covering Islamabad and surrounding areas; phase two covering other major cities, such as Karachi and Lahore; phase three entails coverage of other densely populated areas, while the final phase aims to cover all of Pakistan, including remote areas. In the LTP, Digital TV is noted to be “a cultural transmission carrier” that will introduce Chinese culture to Pakistan. It is stated that eight sets of “programmes” have been determined and more will be added as required. The programmes have not been named. To this end, the Ministry of Information and Broadcasting and China’s National Development and Reform Commission had signed an MoU on implementing China’s DTMB network in Pakistan. PTV and ZTE, a multinational telecommunications equipment and systems company headquartered in China, also signed an agreement to carry out pilot projects to implement DTMB in Islamabad and other areas. According to the CPEC website, a pilot project of DTMB has been completed at a cost of $2 million. The demonstration project is currently “with Chinese side” and is being processed. Connectivity is paired with governance in the master plan, which envisions the construction of a large-scale national data centre for “centralised management of e-government data and safe network operation”. The facility is slated to be built in northern Pakistan between 2016 and 2020. It will occupy a total area of 8,000 square metres. The centre could provide many services and solutions to the government and other key organisations in terms of hosting important data, managing communications, providing internet access, assisting in surveillance, implementing IT applications and delivering online services to citizens. In the long term, the project entails the construction of backup data centres to be built in other cities. Additionally, the LTP says a network for e-government will be built to establish channels from Islamabad to the provincial governments. Public access to government departments and agencies, including metropolitan departments of different towns and cities will be increased. Last year, the National Telecommunication Corporation (NTC) inaugurated the ‘first ever’ National Data Centre of Pakistan in Islamabad at an event organised by Huawei. In March this year, the China-Pakistan Economic Corridor (CPEC) Centre of Excellence was inaugurated in Islamabad by Minister for Planning, Development and Reforms Ahsan Iqbal and Ambassador of China to Pakistan, Sun Weidong. The communications plan also focuses on urban security, as network infrastructure will be used to prevent criminal and terrorist activities, “through sophisticated monitoring, smart alert systems and visual command and dispatch”. This will involve the installation of surveillance cameras, explosive detectors and scanners covering major roads, sensitive areas and crowded localities. The information from these devices will be transmitted in real-time to a control centre where staff will monitor, record and take action when necessary. The plan does not identify who will staff the centre, a key concern related to possible misuse of such technology, and the extent to which China will be involved in internal security. Listing Peshawar as a starting point, the project will extend to the major cities based on its success. The LTP also identifies an added advantage of the project i.e. assisting in the establishment of a platform to manage public services in safe cities such as digital city management, road transportation management and other systems. 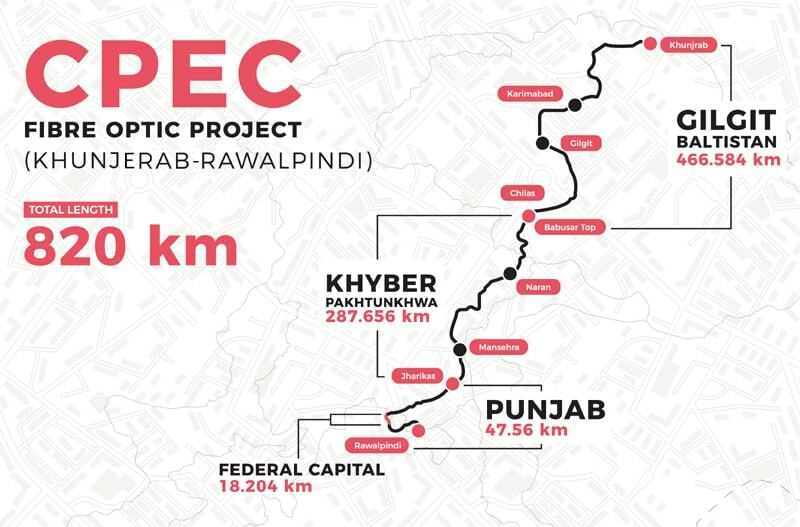 In February this year, Khyber Pakhtunkhwa Chief Minister Pervez Khattak had called on the home, planning and development, police officials and representatives of the Chinese company tasked with executing the Peshawar Safe City project to speed up work on the project. The CM was talking to the vice president of the Chinese company. In March, the Khyber Pakhtunkhwa government signed multiple agreements with Chinese investment companies in which Smart and Safe City projects worth $2bn were included. Aside from Peshawar, other Safe City projects are at various stage of completion. Islamabad’s Safe City project was completed and inaugurated in June last year, although it was approved in 2009 by the PPP government after an agreement with China that included a $124 million soft loan under the condition that equipment would be bought from Chinese companies. In October last year, Chief Minister Shahbaz Sharif said the first phase of Lahore’s Safe City Project had been completed. He said this had been accomplished in collaboration with Chinese company Huawei that was paid Rs12 billion to execute the project. In May this year, Punjab Chief Minister Shahbaz Sharif said that Safe City projects were being launched in six big cities of Punjab, aside from the ongoing Lahore project. He said the projects would be complete by 2018. In August, the Sindh government announced the launch of a “video surveillance project” that would become part of Karachi’s Safe City project. Costing Rs10 billion, a total of 10,000 high-definition cameras will be installed at 2,000 spots in Karachi. A plan has also been drawn up to make Quetta and Gwadar safe cities at a cost of Rs10 billion. The LTP states that capacity building and talent cultivation in information and communication technologies will include training 2,000 professionals, of whom 200 will go to China, while the rest will be trained at Chinese training centres in Pakistan. It is envisioned that the construction of a China-Pakistan Technical Training Centre will form the training base for the telecommunication/technology industry. In the long term, the local training centre may be built into a college or university. In case a training centre cannot be built, the fall-back plan is to have Chinese communication enterprises and Pakistani universities jointly provide technical training. A mechanism will also be established to train Pakistani technicians with China’s resources, such as training at Chinese institutions of higher learning and institutions of communication equipment enterprises. Exchanges will also extend to top management of Pakistan’s Ministry of Information Technology and China’s Ministry of Industry and Information Technology to share experience and achieve common development across multiple fields. CMPak operating under the brand name Zong, is owned by China Mobile. It has grown to be the third largest mobile communication operator in Pakistan. Huawei holds the largest share of the communications equipment market (45%) and cooperates with five major domestic operators. It also has three training centers in Pakistan. ZTE Corporation has nine branch offices in Pakistan with more than 220 Chinese staff and over 620 local employees. It has cooperative relations with 85 local subcontractors.